The company Fabasoft AG, Honauerstraße 4, A-4020 Linz, is entered under FN 98699x in the commercial register of Linz regional court. Fabasoft AG is considering granting managerial employees options pursuant to § 95 Section 6 of the Austrian Stock Corporation Act. This requires, pursuant to § 95 Section 6 of the Austrian Stock Corporation Act, a report by the Managing Board and, as options are likewise to be granted to members of the Managing Board of the company, a report by the Supervisory Board pursuant to § 159 Section 2 No. 3 of the Austrian Stock Corporation Act. The Managing Board of Fabasoft AG and the Supervisory Board of Fabasoft AG provide the report in accordance with this legal stipulation and pursuant to § 159 Section 2 No. 3 of the Austrian Stock Corporation Act, which can be seen in detail at "Other Compulsory Announcements". 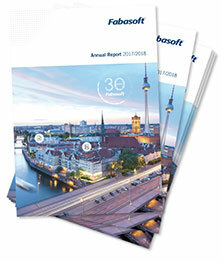 Report Fabasoft AG: Employee stock option model of Fabasoft AG (VII) as PDF (in German). The translation of the original German version is for the convenience of our English-speaking shareholders. Exclusively the German version is authoritative. The company Fabasoft AG, Honauerstraße 4, A-4020 Linz, is entered under FN 98699x in the commercial register of the Linz regional court. Fabasoft AG is considering granting managerial employees options pursuant to § 95 Section 6 of the Austrian Stock Corporation Act. This requires, pursuant to § 95 Section 6 of the Austrian Stock Corporation Act, a report by the Managing Board and, as options are likewise to be granted to members of the Managing Board of the company, a report by the Supervisory Board pursuant to § 159 Section 2 No. 3 of the Austrian Stock Corporation Act. The Fabasoft AG Managing Board and Supervisory Board provide the following report in accordance with this legal stipulation and pursuant to § 159 Section 2 No. 3 of the Austrian Stock Corporation Act. Fabasoft AG is entered under FN 98699x in the commercial register of the Linz regional court. The company head office is in the political municipality Linz. The Fabasoft AG shares are listed in the Prime Standard trading segment of the Frankfurt Stock Exchange, ISIN AT0000785407, WKN 922985. The companys share capital is currently EUR 5,000,000.00. This share capital is divided into 5,000,000 individual shares. At the annual general meeting on 3rd July 2012 the Managing Board reported on the employee stock option model set up by the company. The present employee stock option model was part of this report. The Managing Boards report on this employee stock option model was approved and recognised at the annual general meeting. The software products and corresponding services developed and operated by the Fabasoft Group require particular sales activities and methods and a focus on market-oriented technological observations, decisions and implementations for growth-oriented market penetration. The integration of key personnel in the company group represents a central and critical success factor for this qualitative growth-oriented objective. The employee stock option model described below is designed to support this objective. The balanced and structured employee stock option model should offer a chance for the company and its shareholders and serve as an incentive for the employees involved, that the aspired economic success for the period of the employee stock option model is achieved and therefore that the company value is positively influenced. Each involved employee acknowledges that the offer to participate in the Fabasoft AG VII. employee stock option model is exclusively unique and voluntary. Further stock option models in the future as well as future issuances and issuances from this model VII. remain applicable and are always newly decided case by case. a.) The group of employees, who are authorised but not obliged by the conditions in this document to take part in this employee stock option model, are members of the Managing Board of the Fabasoft AG and its associated companies. b.) The employee stock option model as such does not give the involved employees an actionable claim for the allocation of a certain number of stock options and/or shares from the stock option model. The admission of options to involved employees, which because of their non-transferable nature described in more detail below, as such do not offer any remunerable benefit, is therefore independent of any other pay that the involved employee receives. The objective of the employee stock option model is primarily to strengthen the integration of the involved employees in the company and its executive functions and to align activities towards the achievement of the defined objectives. - Passing of a resolution by the Fabasoft AG Managing Board and Supervisory Board which determines that a specific employee is to receive a certain number of stock option rights as defined in the resolution; the date of this resolution is referred to as the date of issue throughout this document. - Expiry of the waiting period defined in the stock option model; with the expiry of this waiting period, the employee is authorised, as part of the model steps (4. lit. e), to demand the assignment of the shares up to the number corresponding to the stock option rights granted to the respective employee. This is referred to as the period of exercise throughout this document. - Notice of exercising the stock option by the specific employee, whereby the employee demands the assignment of specific shares in accordance with the conditions, receives the shares booked into the named portfolio of securities and makes step by step payment; this procedure is referred to as notice of exercising the option throughout this document. c.) The passing of a resolution by the Managing Board and Supervisory Board is final. The identification of each personal key section that has a strong influence on the focusing and implementation of a market-oriented product strategy and the right sales structure and sales strategy. e.) Notwithstanding the need of a passing of a resolution by the Managing Board, those employees who, as previously described, are a member of the Managing Board of the Fabasoft AG or its associated bodies, have an active, non-cancelled contract with one of the companies named here at the date of issue and period of exercise and who fulfil an executive role with a commercial registry entry are authorized to participate. Therefore exclusively employees whose employment and executive role is not ended during the period of exercise are authorised to participate. f.) If an employee leaves their employee or executive role after the date of issue, for whatever reason, the employees right for further participation in the stock option model expires, effective from the day on which the employees resignation from the company or from their executive role becomes effective (whichever comes first), namely to the full extent to which the respective employee at the time of their resignation could submit or could yet submit an notice of exercising the option in accordance with the conditions. The period from the respective date of issue to the actual period of exercise therefore constitutes a waiting period that contains vested benefits. The legal consequences described here also apply if the employment and/or executive function is ended by the death of the employee. g.) Furthermore, the employee stock option model described here does not guarantee a legal claim that Fabasoft AG and/or its associated companies will repeat the same or similar stock option models alongside this one or to continue after the end of this option model. The offering of this stock option model is unique and voluntary, which implies that the options are in no way valued as an adequate equivalent for services of individual employees but exclusively as a form of bonus opportunity in addition to the respective employees salary. a.) The employee stock option model (VII.) begins on 1st July 2012 and runs until 30th June 2016, as agreed at the annual general meeting on 3rd July 2012. b.) This employee stock option model is granted by the Managing Board and the Supervisory Board. The Managing Board and Supervisory Board has no legal obligation to make this available and/or to exhaust the maximum number of up to 300,000 shares defined for this employee stock option model and/or to complete this stock option. In particular, the authorisation given to the Managing Board will not be acted upon if there are objectively justifiable reasons for not doing so. c.) The dates of issue must  should the Managing Board and Supervisory Board act upon the granted authorisation  lie between 1st April 2013 and 30th June 2016. It must be assured per date of issue that the total number of Fabasoft AG shares made available to employees does not, in total (cumulatively from all dates of issue together), exceed 300,000 (the maximum defined for this employee stock option model). d.) The Managing Board and the Supervisory Board will organise and hold review meetings before deciding on a date of issue. These discussions will serve to additionally check that the conditions defined in article 3 of this document are fulfilled with the respective objective. The aim of these review meetings is to present and explain the individual but particularly the quantitative and qualitative objectives to the involved employees in a transparent and comprehensible manner. Participation in these discussions and meetings is compulsory. - It authorises the employee to submit a written notice of exercising the option to Fabasoft AG during permitted periods of exercise to claim their right to the assignment of the number of shares made available to the respective employee according to the specific terms defined in the Managing Board/Supervisory Board resolution. - The permitted period of exercise is from 15th June 2016 and 30th June 2016 but not before the end of the respective financial statement press conference reporting on the financial year 1st April 2015 to 31st March 2016. The right to submit a written notice of exercising the option expires at the end of 30th June 2016. - The right to submit a written notice of exercising the option is dormant during periods within which the submission of a notice of exercising the option would violate capital market law. - The written notice of exercising the option must also specify to what quantitative extent the granted stock option is to be made use of. - With the notice of exercising the option  for which Fabasoft AG is obliged to provide a specific form  the authorised employee must inform the bank determined by Fabasoft AG of a securities account to which the relevant number of shares should be credited. The employee is obliged, on the bank working day on which the credit for the shares is issued, to transfer the subscription price for the total number of shares to the bank determined by Fabasoft AG (delivery against payment). - The company has 8 bank working days from receipt of the written notice of exercising the option to credit the employee with the shares. Bank working days are days where commercial banks are normally open in Austria. The company is authorised to credit the shares to the employee via a third party (e.g. a commercial bank or foundation). f.) The subscription rate is  3.50 (in words: three euros and fifty cents) per share. g.) The right granted to the employee by the stock option is highly personal and non-transferrable  this also applies to the participation in this employee stock option model. The right from the stock option is neither sellable nor pledgeable. 5.) Participation in the employee stock option model is subject to income tax and national insurance. The liabilities resulting from the granting of the stock option rights and/or the notice of exercising the option are legally the responsibility of the employee. The individual liability under consideration of the specific tax and national insurance situation of a respective employee can  with regard to the time of the request  be inquired about in the Fabasoft AG personnel office. 6.) The acquisition of shares involves risks. Furthermore, there are relevant holding periods to be aware of. During the course of introducing shares to the Frankfurt Stock Exchange the company issued and published a prospectus in accordance with capital market law and must do this should new shares be generated and admitted to trading. In addition, Fabasoft AG continuously fulfils its obligations, including the publishing of half-year and yearly financial reports. The information contained in these reports, including the so-named risk factors, are also significant for the participants of the stock option model. The Fabasoft AG shares are not intended for sale in the United States  no sales or advertising efforts are pursued here. 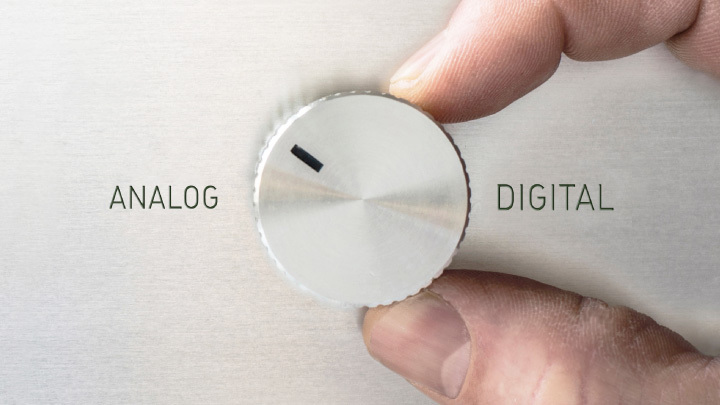 Fabasoft AG assumes that there is no significant interest in the United States in the shares on offer (in the sense of local legal provisions). The resulting restrictions are also relevant for this employee stock option model. More details can be inquired about in the Fabasoft AG personnel office. 7) The employee stock option model is subject to Austrian material and formal law with the explicit exclusion of the norms of international private law and the UN Sales Convention. No legal obligations affect Fabasoft AG that are not explicitly determined in this document. 8.) To simplify the posting process the Fabasoft AG shares are documented in a global certificate in accordance with the content of the articles of association. Report Fabasoft AG: Employee stock option model of Fabasoft AG (VII) as PDF.